One of the most infamous of all Waffen-SS formations, the 3rd SS-Panzer Division “Totenkopf” has always been identified as the very essence of the notorious “Black Order.” Associated with war crimes in official historiography, formed initially with personnel coming from guard units from concentration camps, the unit was nevertheless able to prove itself on the battlefield, distinguishing itself in all of the main campaigns in which it fought, from France to the Russian front. This first of two volumes tells the story of the “Totenkopf” from 1939 to 1943: from the campaign in Poland in 1939; its employment on the Western Front in 1940; to the early campaigns on the Russian Front. Volume one culminates in the bitter fighting on the Demjansk front and to the Kharkov counteroffensive in 1943, finally ending with Operation Zitadelle. As with all of the volumes in this series, the detailed history of the division is accompanied by many first-hand accounts, documents, extracts from official reports, and from the division’s war diary, and by over 860 photographs and maps. Massimiliano Afiero was born in Afragola (Naples Province) in 1964. An information technology teacher and programmer, he has been interested in military history since his youth, specializing in the history of Axis units during the Second World War and particularly in the Waffen-SS. He has published numerous articles in the principal Italian-language history magazines and has contributed to many military history web sites. 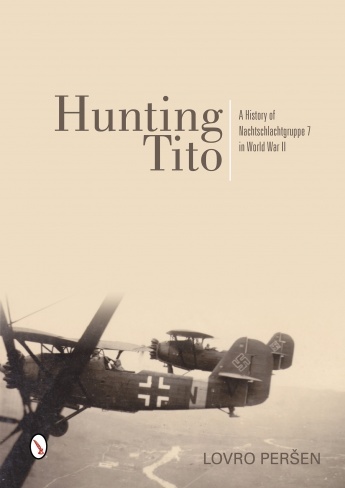 He is one of the few Italian historical researchers to have personally interviewed many veterans of the Waffen-SS, publishing their previously unpublished stories. He has published numerous books dealing with foreign volunteers in the German armed forces during the Second World War. From November 2004 to December 2008 he was the historical consultant and Technical Director of the magazine Volontari (Marvia Edizioni). Since May 2008 he has been Editor-in-Chief of the bimonthly magazine SGM (Seconda Guerra Mondiale) published by Editoriale Lupo. In January 2009, he began publication of a new magazine, Ritterkreuz, dedicated to the military history of Axis units during the Second World war. Since 2013, he has also managed the publication of the Fronti di Guerra series, also dedicated to the Second World War.